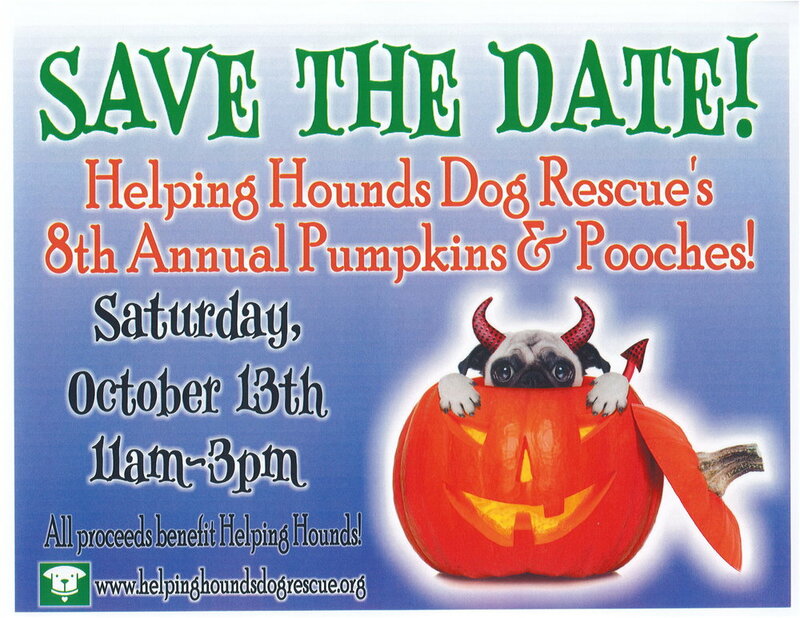 Our 8th annual Pumpkins and Pooches is just around the corner! October 13th from 11am to 3pm at the rescue. Click here to register online as a vendor. Registration is free for 501(c)(3) non-profit organizations.